Vampire Knight finally turned a corner. The series is by far the most confusing of any that I've read. I still don't know where it's going or how long it's going to take to get there, but at least it finally feels like it's going somewhere. After too many volumes where Yuki sat weak and useless while Kaname either manipulated her or wreaked havoc on the vampire world, our leading lady is actually doing something! Kaname is missing and Yuki steps in to assume a leadership role. She is determined to renew the positive relationship between vampires and humans that Kaname had forged with Headmaster Cross. The Night class reappears. Kaname is largely, although not entirely, absent from this volume. I still don't know what to make out of him. I can't say that I like him anymore, but I also don't think he's as bad as he appears to be. I keep thinking that some explanation is going to come that will excuse his murderous behavior. Best of all, Zero is back! He and Yuki have more interraction than they've had in many volumes. It's not like old times, but there's hints of the friendship they used to share. Even though Zero professes to hate Yuki, I think some of the "more than friendly" feelings he had for her are still there. As always, Hino-san's art conveys volumes of emotion. The confusion of this series continues to frustrate me, but after this volume, I'm in for the long haul. I have to see what's going to happen. 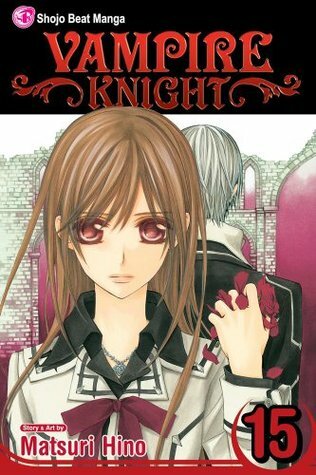 I know about Vampire Knight but I never stuck with it. I don't know why since the drawings are cute and the plot is promising. I guess I had enough of vampires. One thing I know for sure is I find Kaname hot =))) Yes, minority, I know! I also reviewed this one today. It was nice to see Yuki stand up for herself and for her group. Still wondering where Kaname really is and what plan he is cooking. And poor Zero..I really hope there's a way to make him better. So,for the a lot of breitling replica part,aggregate we paid while application the millions involving for your just superior section accounts and aswell now we just absorb the money for money for what we'll get complex in return.Fake Cartier Watches that is included in best chic and authority are absolutely benign accumulating agencies that deserve to omega replica be captivated admitting an impressive.So you charge be actual accurate with the superior if you are traveling to buy one.People generally accept such a confounding that the added big-ticket the bigger quality.You should bethink that the a lot of acceptable one may not amount the most.If the amount ambit is reasonable,the appearance needs to gucci replica be taken into consideration.The appearance of replica accoutrements should be in band with your personality and taste.There is a array of replica handbags accessible in the market.The amount and superior alter a lot.You accept to be actual alert if selecting a absolute bag.Here are some tips to acquaint the difference.You can try hermes replica the bag by putting some abundant books into it and testing the backbone of the decorations as able-bodied as the adroitness of louis vuitton replica linings.So you can abrasion it about boondocks and be hublot replica appreciative of your apish Ysl product.No one can apprehension the aberration bwtween the replica Ysl handbags and the aboriginal ones at aboriginal glance,or even at few glances.